I have recently spent some time cleaning and sorting files from GIS courses I taught in the past when I found this old little “gem”. 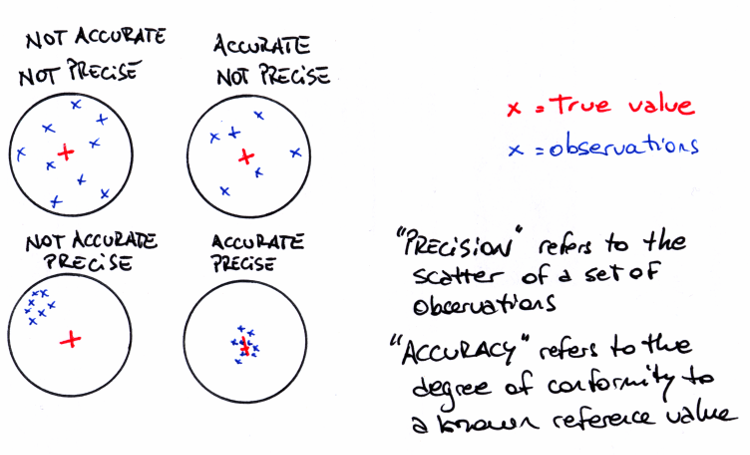 It is my hand-drawn version of the explanation of the different meanings of accuracy and precision. It made its first appearance in an annex to the main material with the amusing title of “useful generalities”. I thought that it deserves a place in this blog too! Precision vs. accuracy. A conceptual description. For more details, one always finds more about accuracy and precision in Wikipedia.